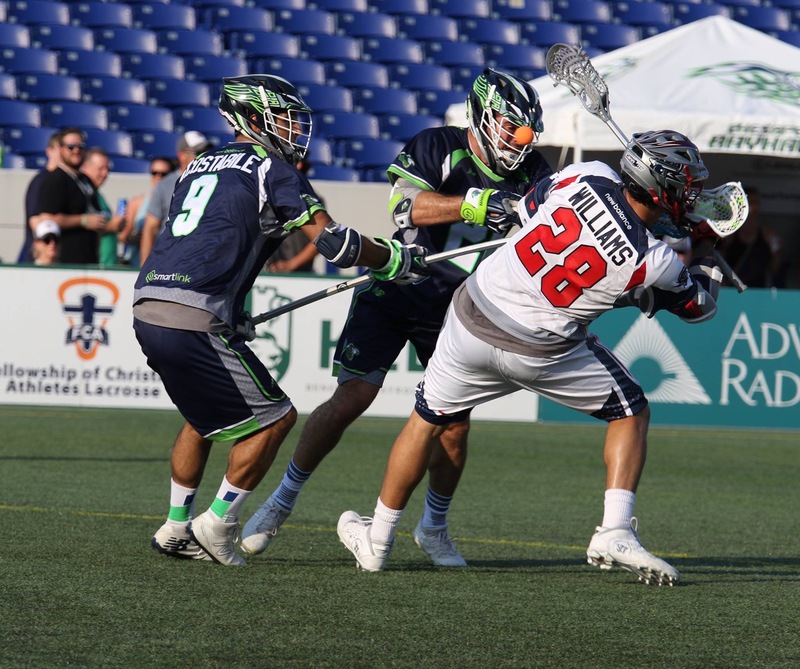 Monday night the Chesapeake Bayhawks (7-2) soared to their sixth-straight victory as they defeated the Boston Cannons (3-7) 15-8 in front of 5,244 fans at Navy-Marine Corps Memorial Stadium. For the first few minutes of the game Boston kept pace with the Chesapeake. Kyle Jackson even gave the Cannons an early 2-1 lead 5:45 into the contest, but the Bayhawks roared back with the final five goals of the quarter to take a 6-2 lead and complete control after 15 minutes. Attackman Matt Danowski (3G/4A) was playing in his final game before heading to Israel to represent the USA in the Federation of International Lacrosse World Championships, and head coach Dave Cottle sang his praises after the game. Second-year midfielder Colin Heacock (3G/2ptG/1A) also gave the Cannons fits out on the field. Heacock, a former University of Maryland All-American, has been a force since day one in the league as one of the toughest players to defend. Goaltender Niko Amato was rock solid for the Bayhawks, stopping 11 of 19 shots faced, some at point-blank range. 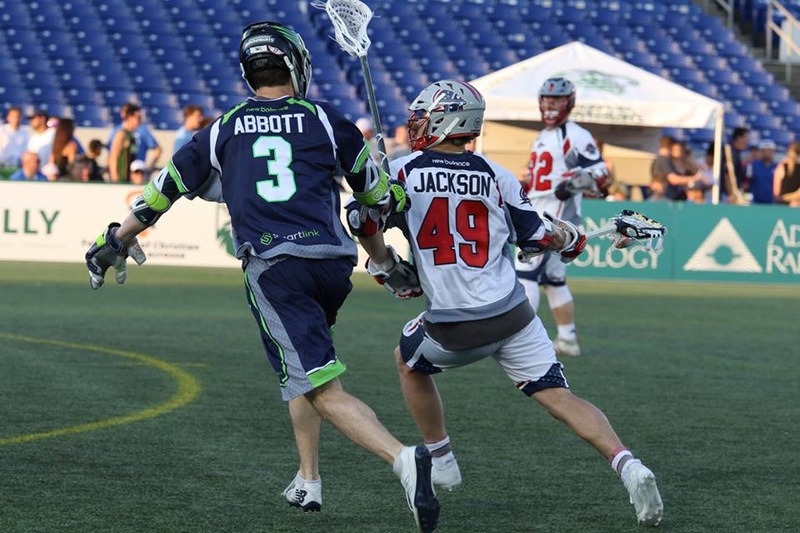 The Bayhawks’ defense was stellar as well, holding Kyle Jackson, Mark Cockerton and Zed Williams to a combined three goals. The Cannons could never get on a run, as the only time they scored two in a row came at the 13:50 & 14:56 of the third quarter. After going into the half with an 8-4 lead the Bayhawks pulled away from the Cannons. Josh Byrne would take a feed from Danowski before Colin Heacock would explode. Heacock used his size and strength for a powerful bull-dodge and fired a shot from 24 feet out for a 10-4 lead. Just over four minutes later it was Heacock again: receiving a pass from Ryan Tucker, Heacock stepped and planted his feet behind the 2pt arc and ripped a shot past Cannons’ net minder Tyler Fiorito. Other scorers for the Bayhawks included Ian MacKay, Josh Byrne and Matt Abbott, who each had a pair of goals, while CJ Costabile and Ryan Tucker had single markers. The Bayhawks (7-2) will face the New York Lizards (5-5) this Saturday night at Navy-Marine Corps Stadium at 7 p.m. This is the first meeting of the season between the two squads. Of note: Cannons’ rookie Shack Stanwick played in his first MLL game, scoring twice and adding two assists against his brother Steele, who plays for the Bayhawks.